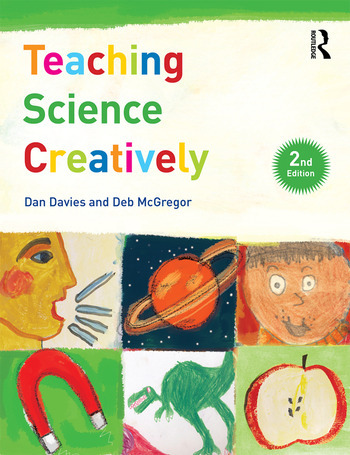 This second edition of Teaching Science Creatively has been fully updated to reflect new research, initiatives and developments in the field. It offers innovative starting points to enhance your teaching and highlights curiosity, observation, exploration and enquiry as central components of children’s creative learning in science. Illustrated throughout with examples from the classroom and beyond, the book explores how creative teaching can harness children’s sense of wonder about the world around them. With easily accessible chapters, it offers a comprehensive introduction to the core elements of creative science learning, supporting both teacher and child in developing scientific concepts and skills. • teaching science topics in innovative and creative ways – games, drama, role play, puppets, mini-safaris and welly walks! Stimulating and accessible, with contemporary and cutting-edge practice at the forefront, Teaching Science Creatively introduces fresh ideas to support and motivate both new and experienced primary teachers. It is an essential purchase for any professional who wishes to incorporate creative approaches to teaching science in their classroom. Dan Davies is Dean of Cardiff School of Education, Cardiff Metropolitan University, UK. Deb McGregor is Professor of Education in the School of Education, Oxford Brookes University, UK.